Kathy Winfrey, RN, MSN, M.Ed, P.M.H.N.P.-B.C. Kathy Winfrey is a Family Psychiatric Nurse Practitioner at Melmed Center. She joined Melmed Center in 2010. She is happy to return after spending time in 2015/2016 working in the child/adolescent psychiatric center in San Diego treating young patients with depression, anxiety, and autism. She also worked with college students at The University of San Diego Health Center doing mental health assessments. She also brings 15 years of experience as a school nurse in Phoenix, working with students with ADHD, learning disabilities, developmental disabilities, and various mental health issues in children and adults. She has worked in several pediatric hospitals as an RN prior to becoming a Nurse Practitioner. Her strengths include empathy, support, and guidance for families and their children who are dealing with developmental and mental health issues. She is passionate about helping families. 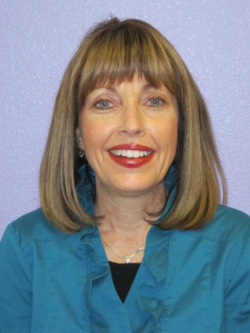 Kathy has a Bachelor's of Science in Nursing from Arizona State University. She also has a Master's of Science as a Family Psychiatric Nurse Practitioner from Arizona State University. Kathy also completed Master's in Educational Counseling from Northern Arizona University.